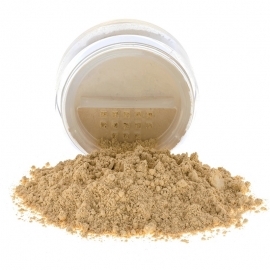 Mineral eyeshadow in loose powder. Turquoise with golden reflections. An exclusive selection of extremely rare eyeshadows, made by mixing only pure Earth minerals. Each eyeshadow looks for and finds nuances and consistencies, many-colored shades and light, which make the final effect unique. 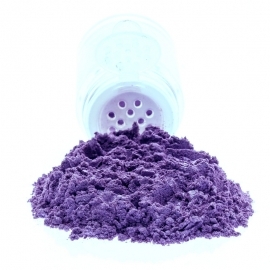 Niagara mineral eye-shadow is part of Avantgarde Collection. 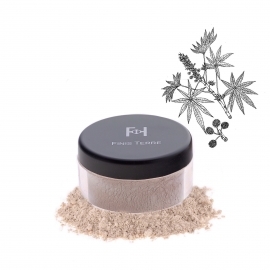 In a jar with flip top sifter, a resealable shaker, which facilitates the eyeshadow dosage on and prevents the powder from spilling out. It is advisable to pepare the eyelid using first a primer, a veil of foundation cream or fluid concealer. Lift up the supplying seal and pour a little bit of eyeshadow on the jar cap. Pick a little powder with an eyeshadow brush and shake it a bit on the jar cap border to get rid of the excessive powder. Use it on the eyelid by tapping it on.